Brabazon Aylmer (active 1670-1709), Bookseller. Artist associated with 4 portraits. Mary Beale (1633-1699), Portrait painter. Artist associated with 53 portraits, Sitter in 3 portraits. William Rogers (active 1671-1712), Bookseller and publisher. Artist associated with 2 portraits. 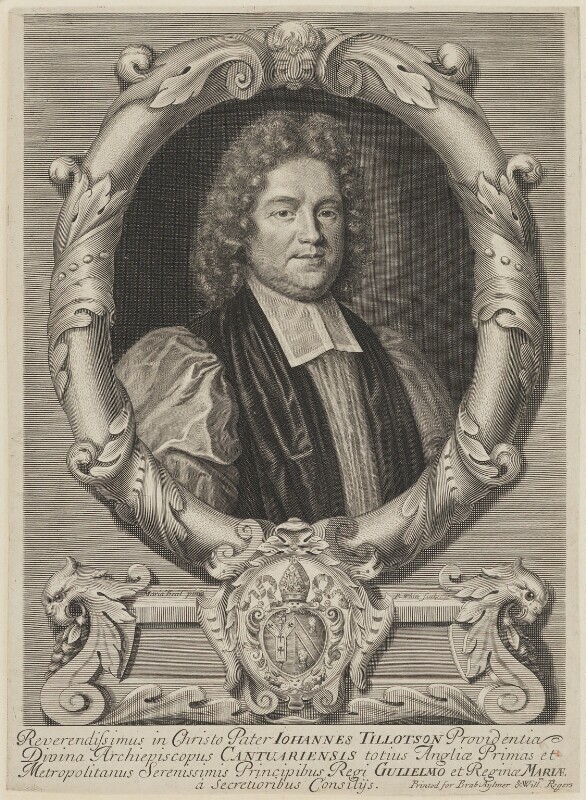 Robert White (1645-1703), Engraver. Artist associated with 608 portraits, Sitter in 1 portrait. Statesman and member of the Privy Council, John Churchill is dismissed from office by the monarchs and later imprisoned on suspicion of collaborating with Jacobites. Jacobite sympathisers in the Scottish Highlands, the MacIain clan, are murdered by government troops led by Robert Campbell, in the Glencoe Massacre. Antiquary, Thomas Rymer, is appointed historiographer royal. Rymer would spend the rest of his life transcribing the history of England's alliances and treaties with foreign countries, publishing them in sixteen volumes. Nahum Tate is appointed Poet Laureate. Composer, Henry Purcell, stages the dramatic opera, The Fairy-Queen. Attempts by French and Jacobite-Irish forces to invade England and restore James II to the English throne are thwarted at the naval Battle of La Hogue. The English victory is principally achieved by Vice-Admiral George Rooke's destruction of the enemy's fleet.